Penetration reached 37.4%, an increase of 2.9 million or 1.24 points of percentage. Based on trailing average of six months’ growth, 50% penetration will be reached by end of September 2012, though the trend is for accelerated adoption (see chart below). 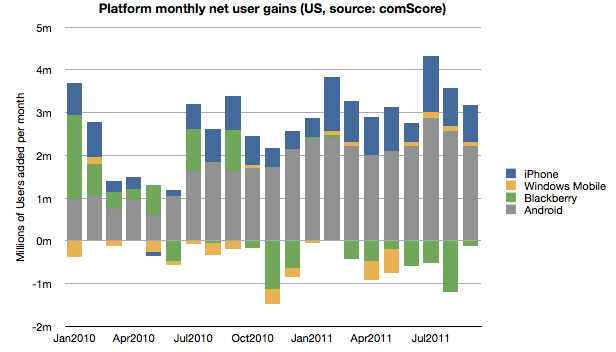 Android and iOS have continued to increase consumption fairly consistently while RIM has moderated user losses. Microsoft has also shown the fourth consecutive month of usage increase having increased users by 440k since May. 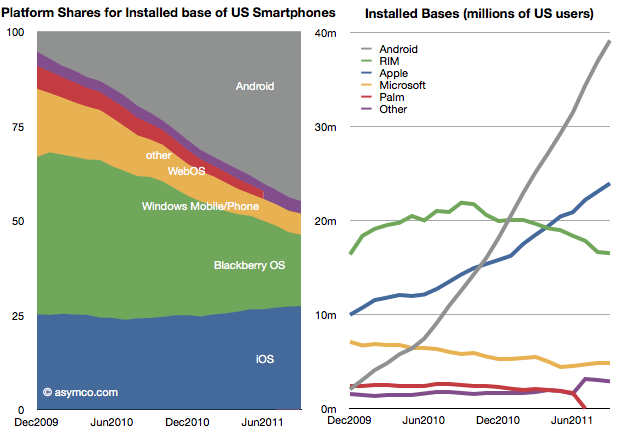 The new Windows Phones seem to have at least stopped erosion of user base though that base is still nearly a third of RIM’s. 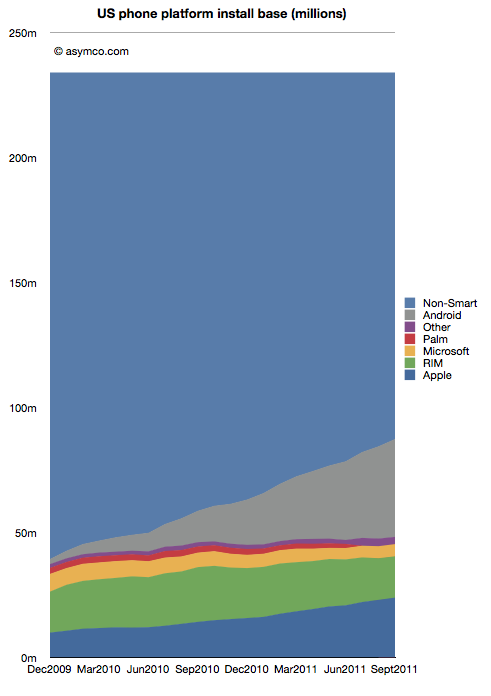 Overall, smartphone non-consumption continues to be the largest competitor though one which is steadily losing. Even though China may overtake it in the new few months, the US is the largest smartphone market and it’s a good leading indicator of the way the industry in evolving. It’s also being measured by multiple observers and we thus have a better chance at understanding the rate at which change is happening. Nielsen reports that 43% of the phones in use in the US now are smartphones in the US with Ages 25 to 34 having 62% penetration.